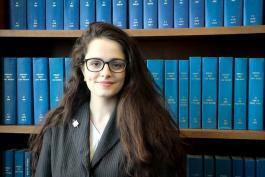 Lisa A. Goodman is the Associate Law Librarian for Administration at the Lillian Goldman Law Library at Yale. Her previous positions include Interim Assistant Dean for the Law Library & Information Technology Services and Associate Director for Public Services at Louisiana State University’s Paul M. Hebert Law Center Library. She also served as Head of Public Services at the Dee J. Kelly Law Library at Texas Wesleyan (now Texas A&M) University School of Law. She has taught both first-year and advanced legal research classes. Before becoming a law librarian, Lisa practiced with the Detroit firm of Dickinson Wright PLLC. She holds a JD and MLIS from Wayne State University, a BS from Eastern Michigan University, and a BA from the University of Michigan. Lisa is active in the American Association of Law Libraries including service as the 2013-2014 CONELL Committee Chair and the 2016-2017 Black Caucus Chair. She is a member of the State Bar of Michigan.